With 2.5 billion disposable coffee cups thrown away in UK every year, we don’t need to be reminded just how bad single use cups are for our planet. That’s why we’re so excited to be stocking these brilliant Frank Green stainless steel 10oz cups. 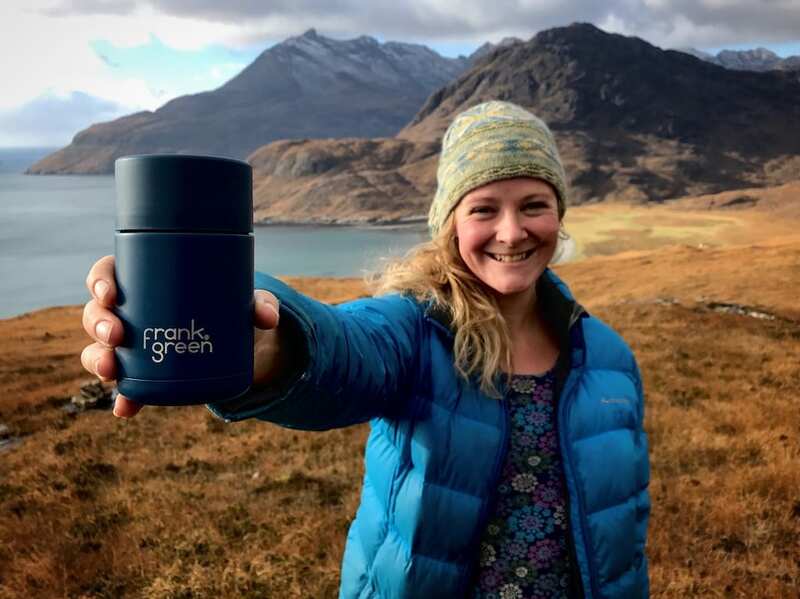 One of Australia’s most loved reusable brands, our Frank Greens are built to last, designed to fit comfortably into your hand, have a clever one handed push button lid, a smart double walled thermo outer layer and come in a bunch of gorgeous colours. Hill tested on Skye this weekend on a four hour hike near Elgol. It was cold, there was snow on the Cuillins and by the time we made it to the bothy on Camasunary beach our coffee was still hot and not a drop had been spilt. So it’s a thumbs up from us. Buy one of these lovely cups direct from our Roastery and we’ll fill it with a free coffee too. Bring this or any other reusable cup to us and we’ll give you 25p off every take away coffee from us from now on. Small steps we know but hopefully some taken in the right direction to make our world a little more sustainable.